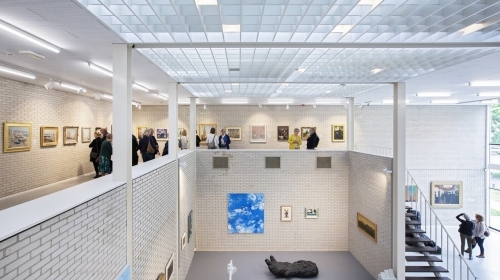 Museum Flehite and Kunsthal KAdE join hands in Salon '18 / Amersfoort ─ Utrecht . From 13 October to 6 January, a selection of contemporary art from Utrecht, Amersfoort and surroundings can be seen in the Rietveld pavilion. 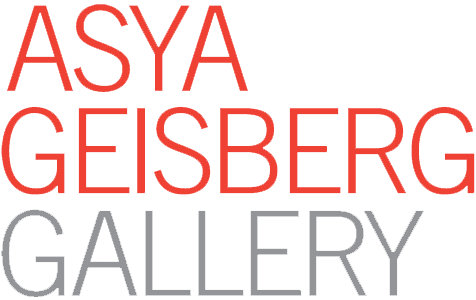 Both artists with an established reputation and up-and-coming talent are invited to exhibit their work after a selection by the curatorial team this fall. With the kick-off of this first Salon in 2018, Museum Flehite and Kunsthal KAdE want to give the Amersfoort and Utrecht artists a podium every three years. In this edition the autonomous visual arts is central, in a next edition the subject is Architecture, Fashion, Applied Art and Design. The curatorial team (Robbert Roos and Judith van Meeuwen, curators of the KAdE art gallery, Onno Maurer, curator of Museum Flehite and guest curator Carolien de Boer, policy advisor of Fine Arts of Utrecht) invited the first 25 artists. The selected artists were asked to nominate colleagues for the second election. The final selection is composed of these nominations. "The two-step selection procedure yielded a number of surprising names and hidden talent," says KAdE curator Robbert Roos. A total of fifty artists will be presented, including work by three HKU final exam candidates. The Rietveld pavilion from 1959 is one of the most important later works by architect Gerrit Rietveld. With its sober, almost Spartan features, the Rietveld Pavilion distinguishes itself internationally for its spatial qualities. Rietveld designed the building as an exhibition space at the time of the seventieth anniversary of the city of Amersfoort. For over fifty years, the Rietveld pavilion was the center for modern art in Amersfoort. From 13 October to 6 January, the Rietveld Pavilion will return to its original function for Salon '18.